With more than 20 years in the product design industry, Tark founded Mighty Studios. He has been fortunate enough to have worked on and manage programs - from small start-ups to Fortune 50 companies. Tark manages design programs of every scale, working with Mighty's client’s in-house teams, and often bringing together best-of-class teams of researchers, industrial designers, mechanical engineers, electrical engineers, and supply chain experts to offer tailored, turnkey solutions for products in the consumer, medical and Datacom spaces. Bron is a trained mechanical engineer, with both a BSME, and a MSME from the University of California, Merced. While Bron is an engineer by training, he understands that it is impossible to develop an excellent product without first emphasizing its design. Outside of the studio, you can find Bron in the garage working on his classic Z, or out exploring the world. Kainon was trained at the University of Mary Hardin Baylor in Belton Texas. He has a wide variety of experience from wind energy in west Texas to high-tech electronics in Silicon Valley. With a solid background in manufacturing, Kainon is able to optimize designs and keep production costs low while providing an appealing product to the end user. In his free time Kainon enjoys playing pickup basketball with his buddies. Nick is a Graduate from California College of The Arts. He has experience working on projects in various fields including Medical, Datacom and Consumer products. 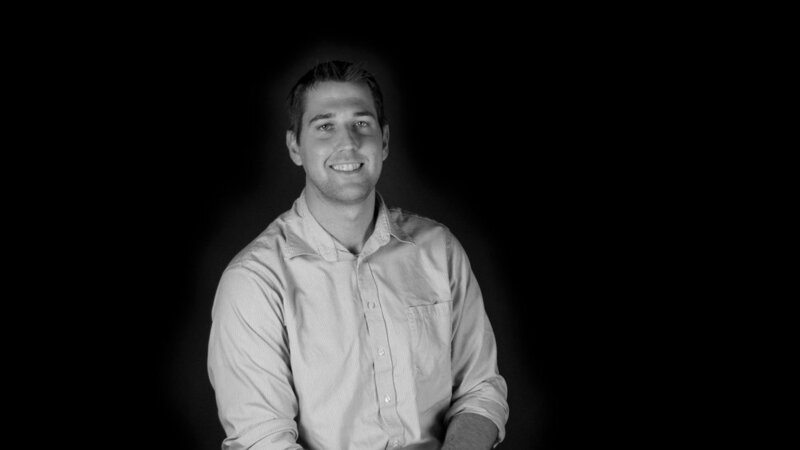 Nick is passionate about designing products and experiences to enrich people’s lives. When he’s not in the studio, Nick can be found experimenting with furniture projects or tinkering with his car. Tony was trained at Cal Poly San Luis Obispo in graphic design but has branched out to become a multidisciplinary designer. Having worked both in-house and at agencies, he understands the relationship between the client and designer is not a two way street but a symbiotic one. When he is not obsessing over kerning type or discriminating colors, you can find him planning out his next great foreign backpacking trip. Marc has been with Mighty since its inception. A graduate from San Jose State University's Industrial Design program, Marc has worked on a multitude of projects ranging from consumer products to medical equipment, all while starting his own soft goods brand of sewn bags and backpacks. He prides himself in delivering creative and beautiful solutions to the users of the products he's designing for. Marc is also a devoted cyclist; long cycling adventures are his creative break and he insists on riding to the studio no matter the conditions. Kenny Kim is an industrial designer with a solid background in consumer electronics, medical devices and connected wearables. He studied at UC Berkeley and San Jose State University and has worked at consultancies and product development firms across Silicon Valley. In his free time, he enjoys dabbling in 3D printing and D.I.Y. electronics. Jill Murphy has over 20 years of experience developing unique, proprietary consumer insights for leading companies across a range of industries. Jill specializes in qualitative research and strategic planning. Jill has extensive experience conducting ethnographic immersion, focus groups, in-depth interviews as well as innovative blog-based research. She has worked as a Strategic Director at Cheskin Added Value and an Account Planner at Publicis Hal Riney and Partners. She has her Masters Degree in Integrated Marketing Communications from Northwestern University. She has used innovative research to guide product innovation, design and brand strategy for a range of companies including The Coca Cola Company, Earthbound Farm, Cisco, eBay, Electrolux, Genentech, Google, Kao Brands, McNeil Consumer Healthcare, Microsoft, Pepperidge Farms, and Whistle Labs.